Telephone Double Adaptor (605 Plug to RJ12 & 610 Sockets) + FREE SHIPPING! Ideal for adding an answering machine, fax machine or additional phone to your phone line! This handy little double adaptor is an absolute must have around the home. Perfect for when you need another phone in the house or for those home offices that need to have every phone gizmo ever invented. 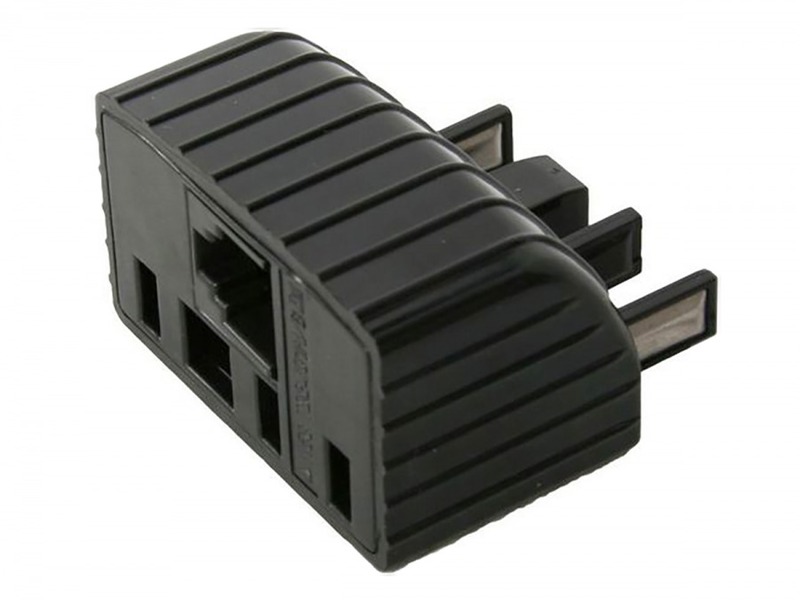 The 'old' Australian 610 sockets are great for putting retired phones back into service, plus the addition of the RJ12 socket lets you piggy-back another phone or fax onto an existing phone connection. Answer: "Unfortunately not. This adapter does not act as a line filter for ADSL internet, and a filter must come before the telephone socket. We don't currently stock a filter or adapter which can accommodate the old-style telephone connector in addition to an internet line." I was so happy that I found your web site and what I wanted. I would buy from you again, cheers and thanks heaps!